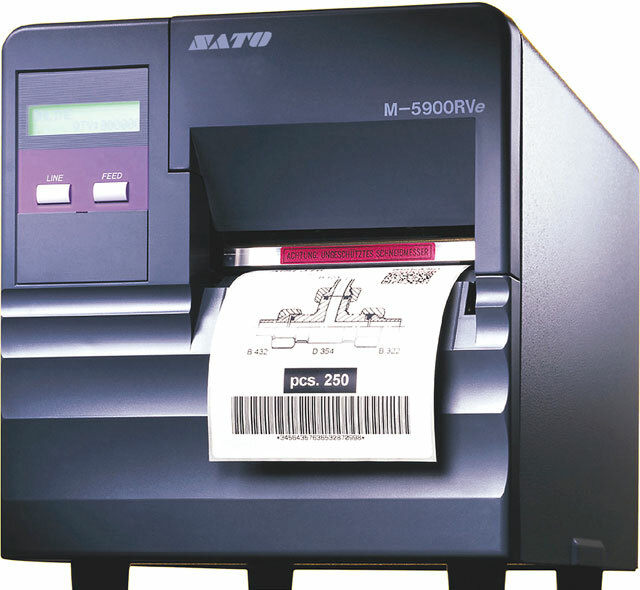 Ease of use and a robust construction makes the SATO M5900RVe stand out from the crowd. With a print resolution of 203 dpi and a label width of 4", the M5900RVe is ideal for smaller industrial footprint. The latest RISC processor also guarantees high throughput speed which is perfect for large graphic data. You also have a choice of the interface board: LAN, 802.11b Wireless LAN, USB, IEEE1284 or the high speed RS-232C.